More than likely, most photographers purchase a telephoto lens for wildlife photography. It’s totally logical, and I use my telephoto lenses for wildlife, too. A telephoto lens gets the photographer “close”, even when it is either impossible or illegal to do so otherwise. 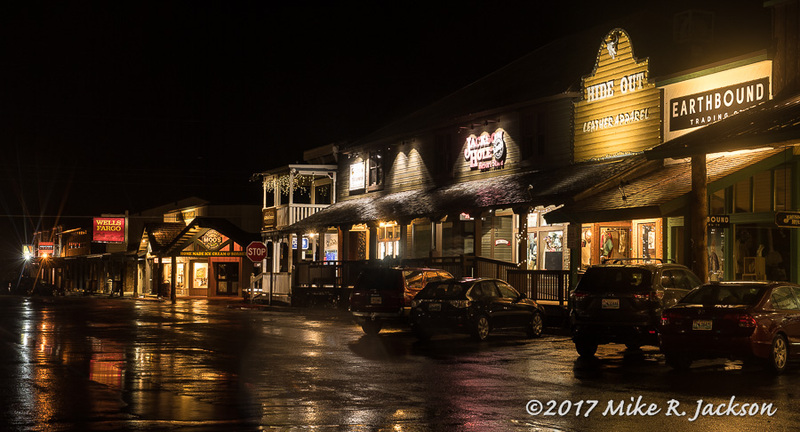 Continue reading "Telephoto Lenses For Landscapes"
Last night, I came out of the movie theater to find rain falling in Jackson Hole. I grabbed some gear and headed back downtown to see what I could capture with the rain covered streets. Spring Break began two weeks ago and will end on Sunday. It’s traditionally a “sleepy” time after the World Championship Hill Climb at Snow King. Many of the locals head to tropical locations, but we hung around this year. The photo above was taken at the corner of Broadway and Center Street, looking north. Shooting Data: NIKON D5, Nikon 24.0-70.0 mm f/2.8 at 56 mm, 6 Second at f/14, Manual Mode, -1 2/3 EV, ISO 100Continue reading "Rainy Night In Jackson Hole"
Red Foxes, with their distinctive white pointed tails, roam most areas of the Jackson Hole valley. The bulk of the visitors to Grand Teton National Park come here in the late Spring, Summer, and Fall, seasons. Foxes are around, of course, but aren’t seen that often by the average tourist. I believe there are several factors. Foxes are usually hunting very early and very late—and that’s not the same time of day the average tourist is roaming the valley. 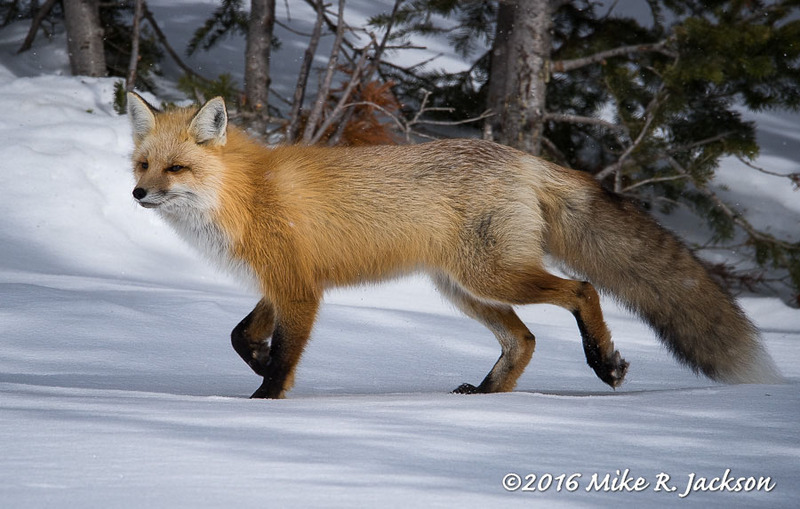 Much of the year, single Foxes only need to catch enough food for their own needs that day, then can rest and sleep the day away until they are hungry again.Continue reading "Red Foxes of Jackson Hole"